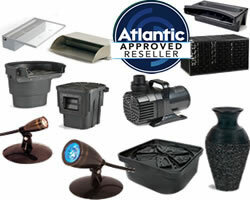 What is an Atlantic Water Garden approved Reseller? Resellers who unilaterally decide to fully comply with every provision of this policy are eligible to be named an AWG Certified Reseller and thus to receive a free license to use the AWG certification mark, AWG artwork, and AWG marketing copy. AWG will only supply Certified Resellers. AWG will only recommend Certified Resellers. AWG product warranties apply only to products purchased from AWG Certified Resellers. Resellers will be subject to forfeiture of any license granted by AWG if the reseller is found in non-compliance with any provision of this Policy. Atlantic Water Gardens strongly urges potential customers to only purchase from resellers that have the Atlantic Approved Reseller Badge. 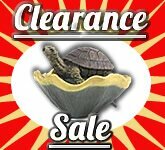 Atlantic Water Gardens will advise potential customers of the benefits when purchasing from resellers that poses certain credentials. Resellers that have qualified for the Approved Reseller Badge will be permitted to use Atlantic marketing materials and will be offered additional support upon request. The Atlantic Approved Reseller Badge may only be issued by Atlantic Water Gardens.